It’s because of generous contributions by our community and business partners that we continue to grow, making a difference across Oregon State. Our many volunteer also deserve a hearty thank you for their continuous efforts in planning and successfully hosting our leadership seminars. It’s surprising to some, but none of our volunteers receive a salary or compensation for their work; all funds generated for HOBY Oregon go towards the annual leadership seminar and high school students across the state. 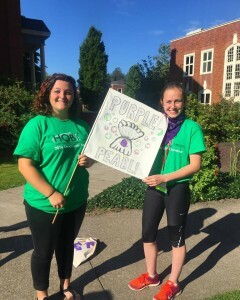 Making a donation to HOBY Oregon therefore directly impacts the lives of our young leaders, motivating the youth of Oregon to step-forward and make a difference through service. All donations are tax deductible as we are a registered 501C3 non-profit organization. Furthermore, we guarantee that you will be acknowledged for your support through our website, and during our leadership activities. To make a donation, please reach out to info@hobyoregon.org. For inquiries regarding non-monetary donations including stationary, pens, t-shirts, gift cards and various other seminar supplies needed, please email seminar@hobyoregon.org.